Woo Hoo! Gotta share with all of you. 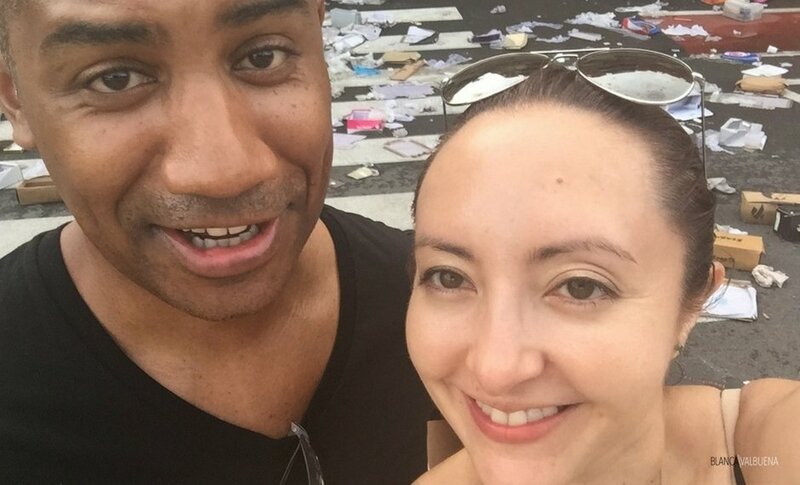 Antonio and I were featured on Travel & Leisure for our digital nomad lifestyle. We’ve been doing this for quite a long time. This means that we’ve made tons of mistakes, had many horrible days when we were dealing with business meltdowns, but we are still here…still working…and still traveling. 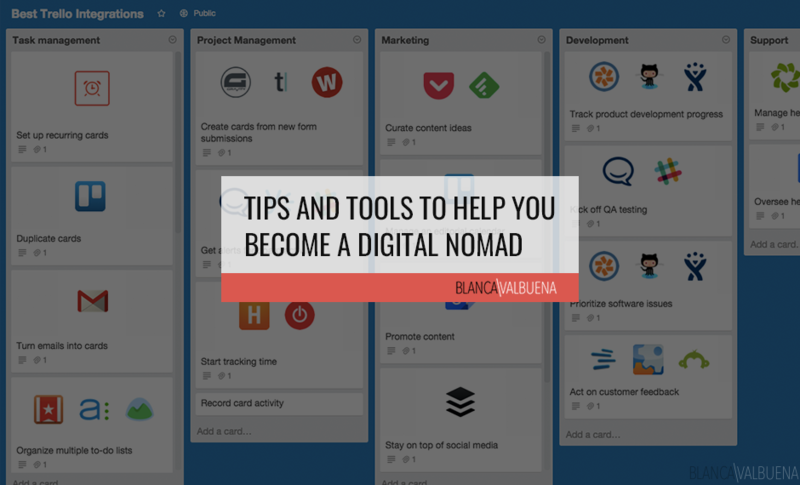 So, today, I will jot down a few notes on tools to help those of you who are ready to make the leap into digital nomading. If there is something here that I did not cover, leave a comment with your question. Either Antonio or I will hop on and answer to the best of our knowledge. This is a living post. We will add and remove features as things change. We’re also working on a second post on life tips to help you get used to this lifestyle. 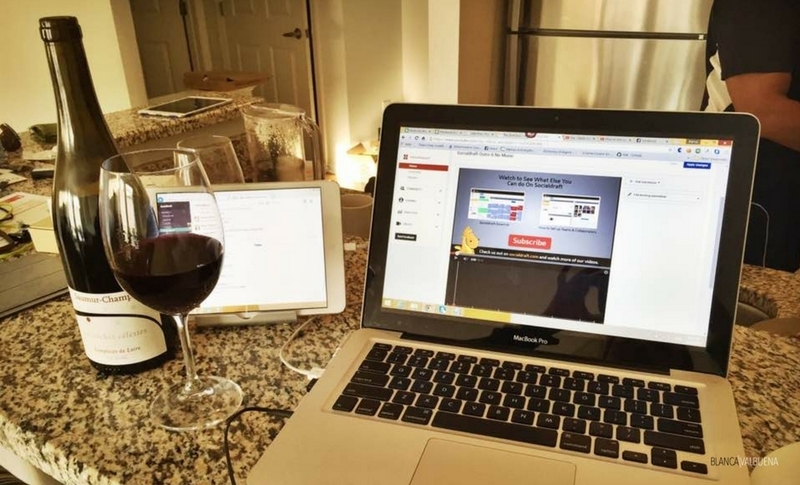 In order to live as a digital nomad, you are going to need systems and tools. These will depend on the type of business you have. Since we lead a team of between 15-25 people at a time, this post will be focused on how to work with teams. The first thing when digital nomading is communications; how you will conduct business with team members, contractors, and clients. I’ll outline some of the tools we have used in the past, the ones we still use from time to time, and the ones we use on a daily basis. 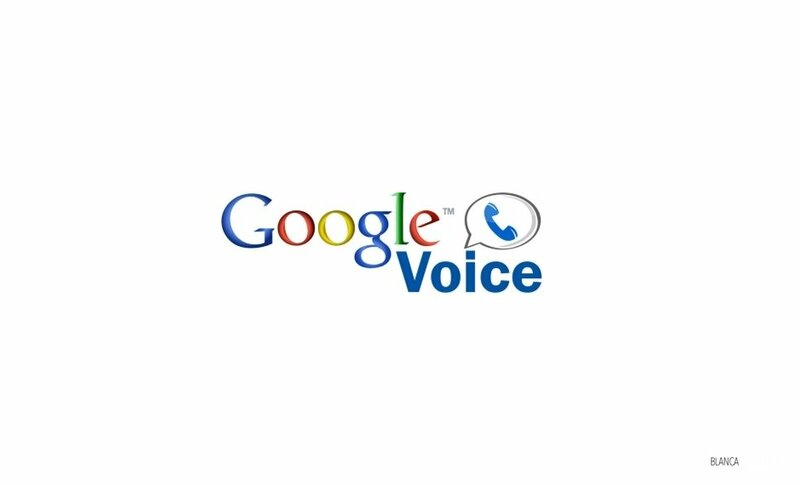 Google Voice: I set myself up with a Google voice number and I have my regular mobile forward to my Google voice. it’s awesome because it transcribes text messages and emails you whenever you get a call. You can even reply to sms messages. Another bonus, when you set up a mobile app, you can have them send verification codes to your Google voice. This is the absolute most essential thing you need if you’re going to become a digital nomad. Since this is a working number, you can receive calls right on your laptop too. NINJA TIP: You can also piggyback this with a Twilio phone number. Twilio is a great software company that give you the ability to buy phone numbers in most countries of the world for a few bucks a month. What I like to do is when I land in a country, get a Twilio phone for that country and forward it to my Google Voice. Then I can receive and call people with a local phone number. One note, Twilio is in most countries but I have noticed in developing countries like Africa and South America they are missing local numbers. 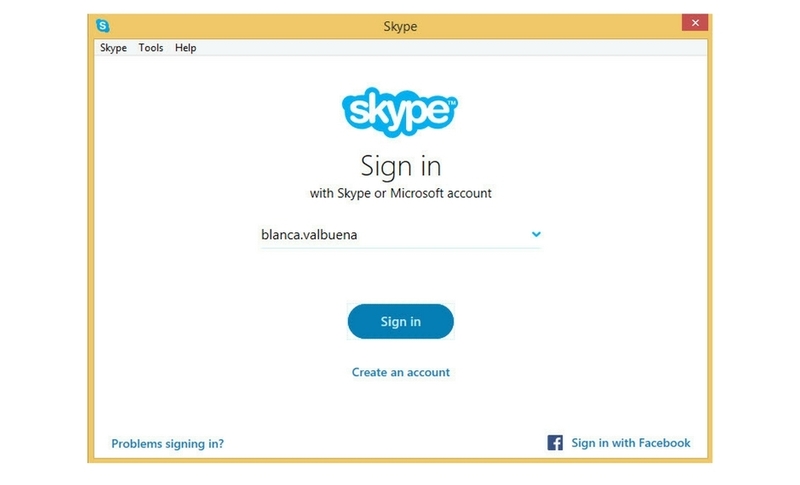 Skype: Skype’s great. I use it to call international clients, to call for personal things (like utilities), or whenever I need to make an international call. I chat with my niece every Wednesday on Skype for her weekly English lesson. It’s a fantastic tool for staying connected. One issue I have been having with Skype is phone numbers in various countries are limited and conference calls with more then 2 people can be pretty choppy unless you have decent internet. Even with those issues it’s still my go to for quick video call or calling home. 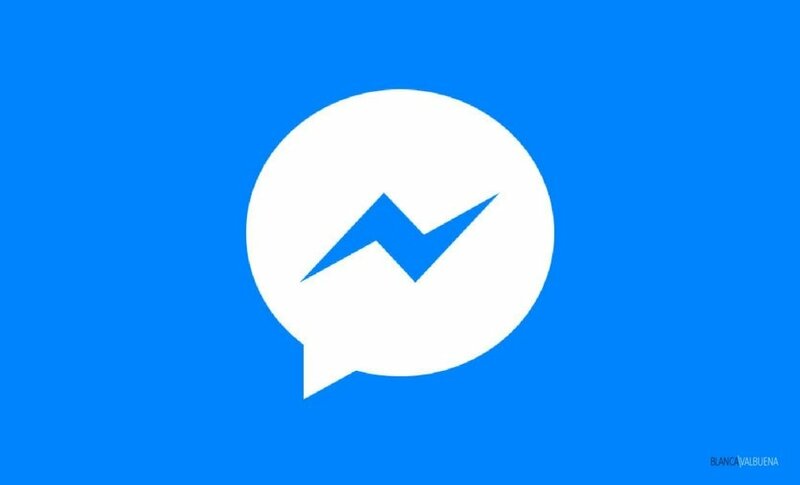 Facebook Messenger: Some people prefer Whatsapp…and I have that installed on my phone, but Facebook messenger has become my default for personal conversations with friends and family. I think it depends what country you are in. In Latin America Whatsapp is king. I do both when I travel but to me I really prefer Messenger. I recently showed my mom how to do the “FaceTime” calls on Messenger. She calls me way too much. Slack: Big fans of slack. We have a team account which we use for all business communications. 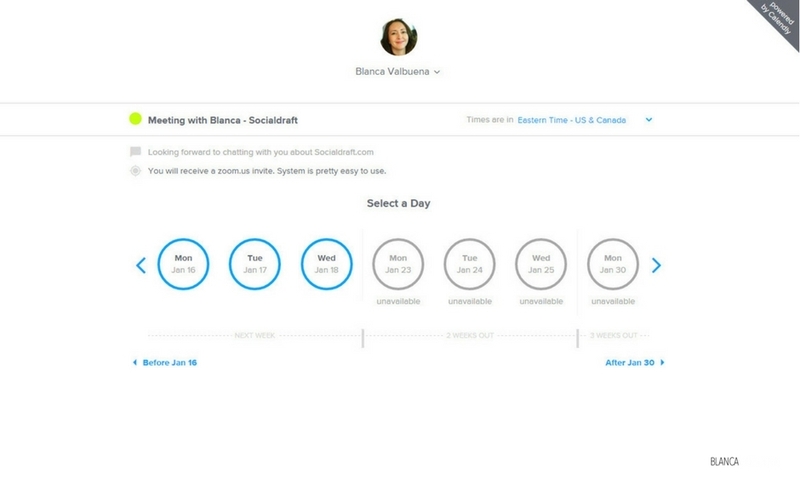 It allows you to add channels and to link it to other systems like Trello (we’ll discuss that later). Our team (employees, contractors, and us) all log on at 9am EST. No matter where anyone is at, we are always online at 9am EST as this when we do most of our business. What I really love about Slack is that it’s the hub for our business. If someone mentioned a link, a file, an idea 3-months ago it’s easily to find in their search. So concepts aren’t lost in a remote business. 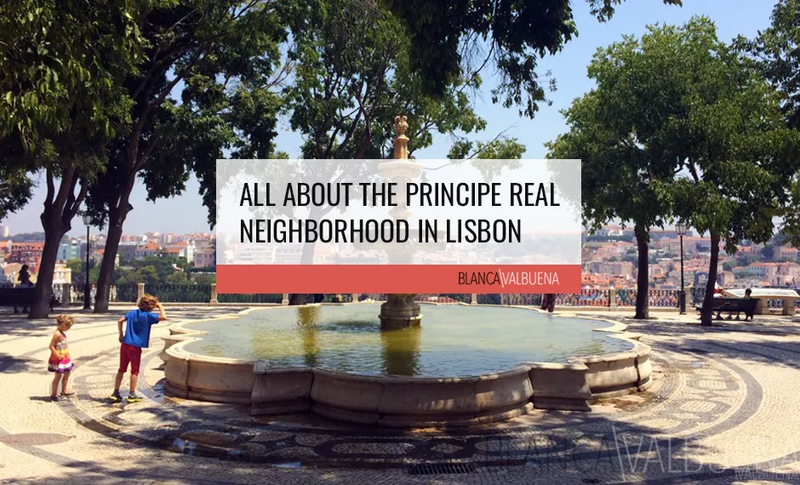 This is the big key because when you are working with people from around the world you need to have some “local” place to interact. We use to use Skype but conversations aren’t threaded properly and stuff got lost all the time. 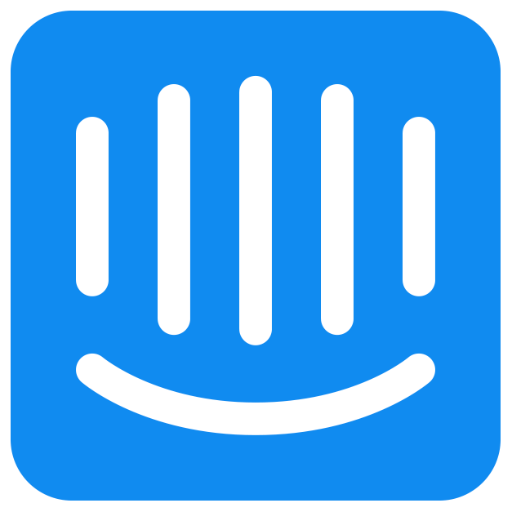 Intercom: We’ve integrated Intercom with our website. It’s an awesome way to support clients and answer any questions that potential customers will have. We’re officially on from 9-5 EST, but since Intercom works on your smart phone, all of us have installed and we have almost 24 hour customer support. This is one of the most valuable tools to our business. You can also try their competitor Drift. 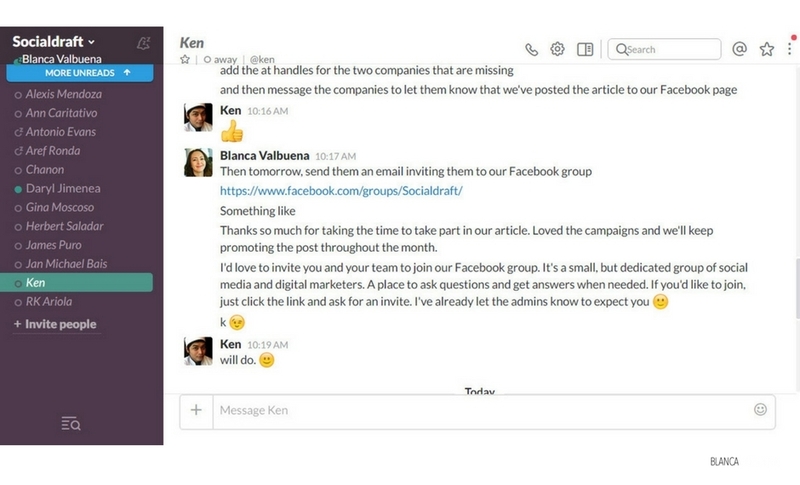 What I like about Drift is it integrates elegantly into Slack. So you can do all your support from 1 awesome tool like Slack. 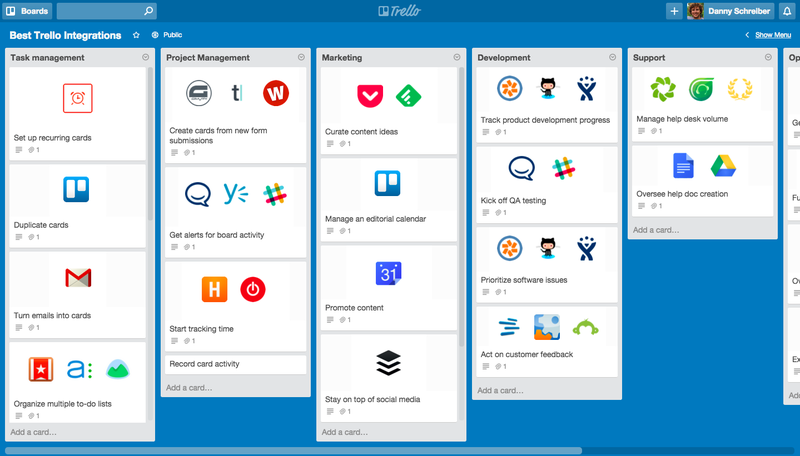 Trello: Trello is a great tool. You can organize projects into boards, add tickets and move the tickets along as they get completed. 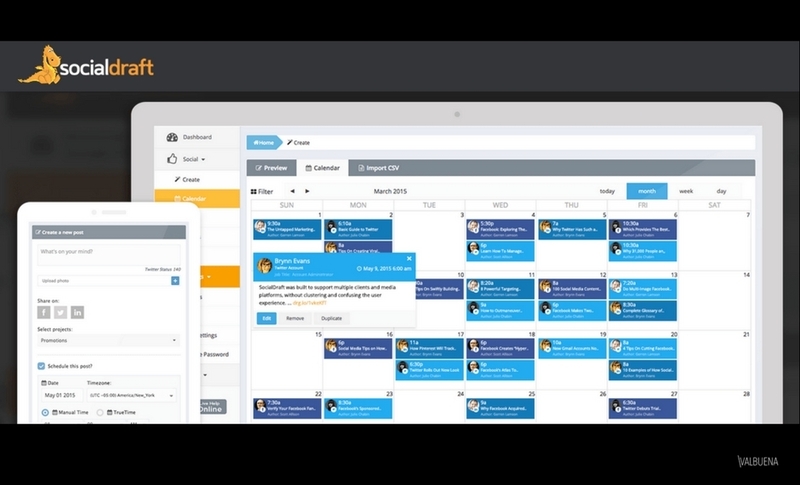 We love this tool for project management. Socialdraft: Ok…yeah – this is mine…but to be fair, it was built to solve all the issues I hated with other social media dashboards. When we created socialdraft we were working with large agencies like Sopexa. They required to have lots of control, asked us to work with outside companies, and needed some serious reporting. We built Socialdraft to make it easier to work with our clients, and ended up with an awesome Social Media dashboard that we could monetize. It does tons, I use it daily to schedule to my social media channels (Facebook, Twitter, LinkedIn, Pinterest, and Instagram). I’ve also set up alerts for both Socialdraft and my name so I know any time someone mentions us. Then I take these mentions and make them into social posts with a few clicks. We’ve also built a task system, so I assign tasks to our team members here. We’re working on building more tools to fulfill more of my digital nomad desires…but those will come in time. Google Drive: I love Google Drive. I can’t tell you how many things I use it for. Simply freakin’ amazing. Snaggit: A video tool? For communication? Yup. Sometimes, it is so much easier to explain something with a video. I use it with our devs if there is a product issue. I simply go through the process of whatever is broken & my non developer brain can show our devs exactly what is wrong. Nothing is lost in translation. Calendly: Great service for appointment setting. It gives you tons of control over your schedule. We use this mostly for demos and for on-boarding appointments for our users. PayPal: We pay our employees and contractors with Paypal. It’s gotten significantly better than it was in the past, but still needs a lot of improvements. If you know of another option – let me know, their policies always favor the customer (even when you have proof otherwise). Transferwise has gotten a lot of love lately but they limit amount of people you can send monies too. So for our digital nomad business it wouldn’t work but if you only 3-4 people you are paying then check it out. 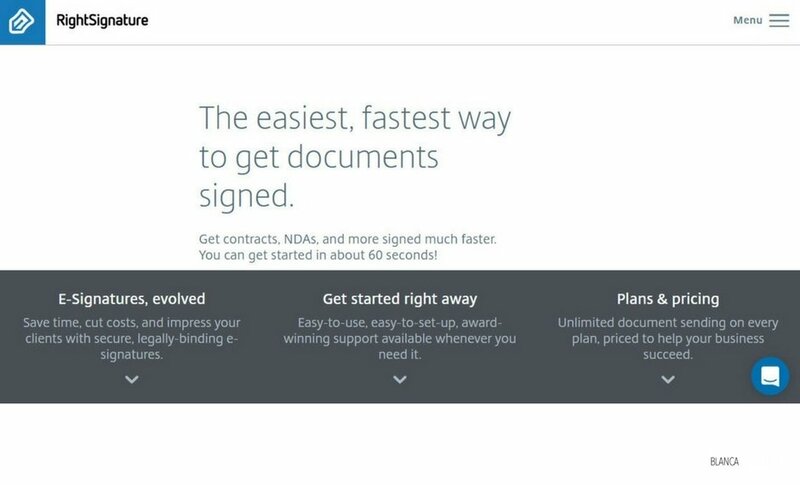 RightSignature: Contracts are key. This goes for clients, employees, and contractors. Right signature is an awesome way to get contracts signed while you’re half a world away. 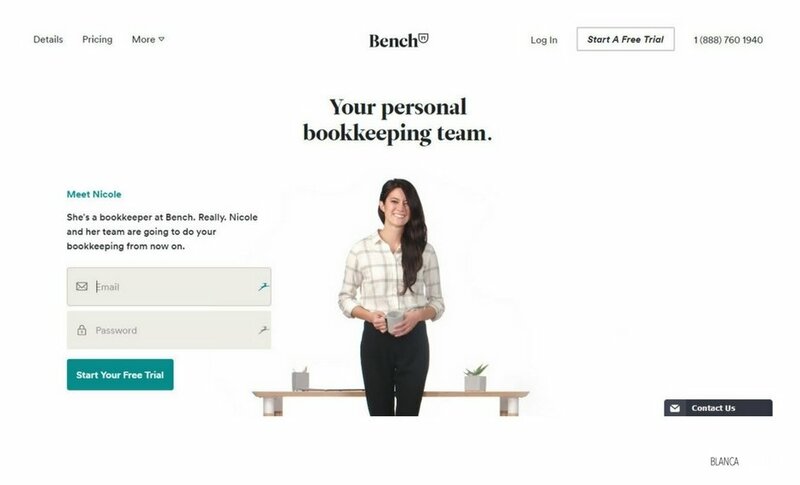 Bench: The last thing you want to do is book keeping & tax prep. Trust me. Bench is awesome. They call us with reminders, they are super through and this is great because when you’re Digital Nomading, you’re going to forget things. This is the one thing you don’t want to mess around with. 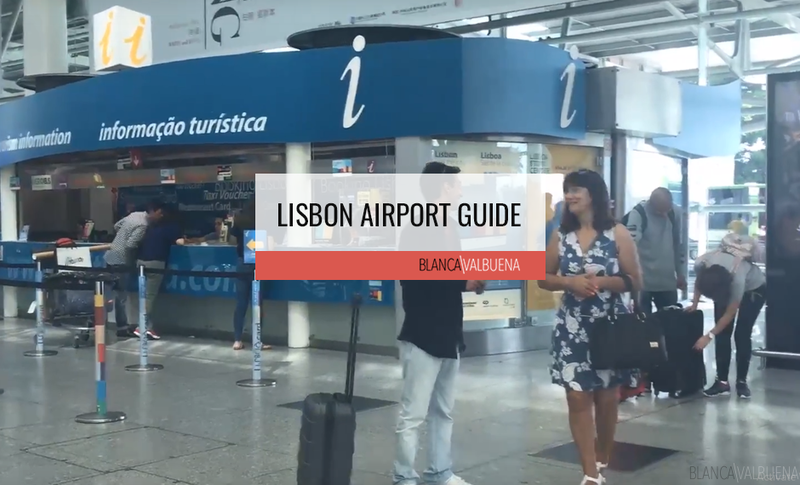 It is the most worthwhile investment for you as a digital nomad. We recently left Bench because of some issue with their tax system but I know when tax season comes up again we might look at them again. 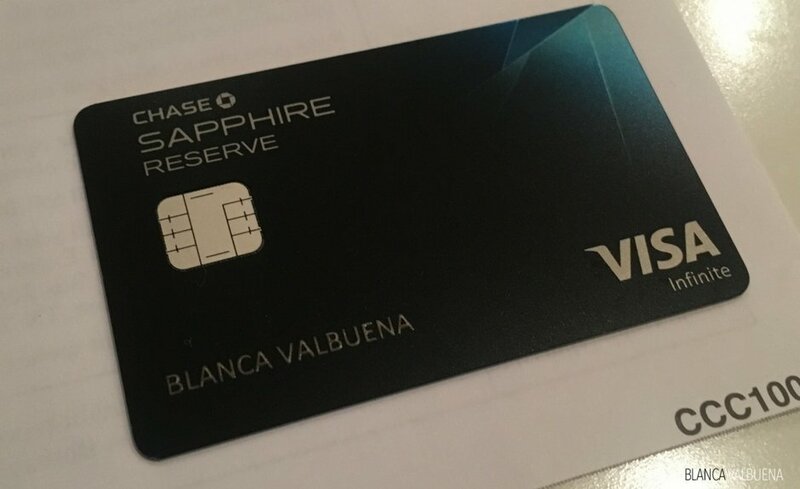 Chase Sapphire Reserve Credit Card: This is the card you want in your wallet or purse. It weights 3x the weight of any of your credit cards but give you 3x the benefits. Let me breakdown the benefits for you. No foreign transaction fees, $300 Travel credit annually, free airport lounge access, trip insurance, and free global entry credit. I mean isn’t that awesome for travelers. The card costs $450 per year right now but with the $300 travel credit means it’s only $150. Also right now they are giving 100,000 miles. That’s one free business class trip to Europe. Get this card right now! 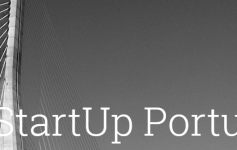 Croissant Co-Working App: Yes, this is an affiliate link – but I LOVE croissant. It’s an app that gives you acces to co-working spaces throughout the world at a very fair price…so no matter where you are at, you can have a comfortable place to work with great internet access and lots of business perks. I’m a huge fan and use them quite often, so check them out, it’s better on your back than working on an uncomfortable kitchen chair at your Airbnb. Traveling Mailbox: This is an awesome tool. You have to go through a few hoops to get it set up (like going to a notary to sign off on the forms), but it is so worth the time spend. 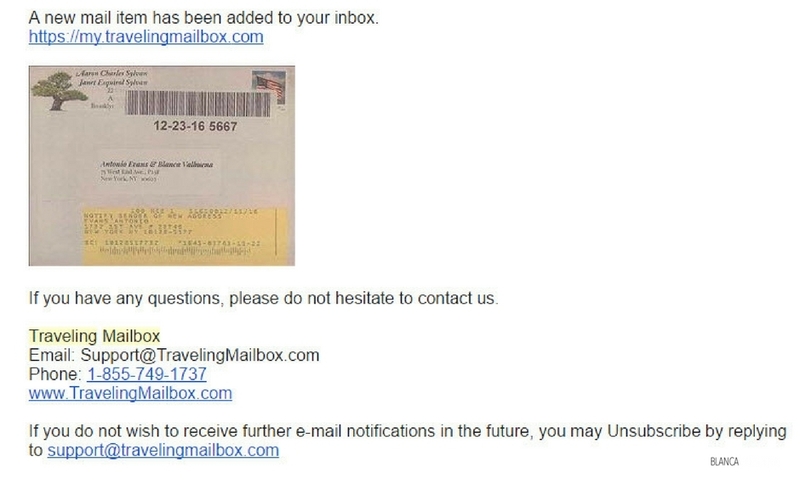 Traveling Mailbox is a way to have your mail forwarded. They scan all the envelopes and email you whenever you get mail. If you see something you want to open, you can request this and they will PDF the piece of mail so you can read from anywhere. Another big thing they do is deposit checks for you. So if you have USA based clients that have to send you a check, just have them send it to your mailbox and they will deposit for you for a small $5 fee. So convenient. Dashlane: I’ve got tons of things I use and I have different passwords for everything. Dashlane makes it easy for me not to have to remember them, and they keep my accounts safe and sound. Duet Display: You can’t travel with a huge computer and dual monitors. Duet Display is a killer app which turns your iPad into a monitor. My productivity increased tenfold once I purchased this app. I can keep my social media on my iPad, email and other tools on my laptop. iPhone: Yes, I am a fan girl. An while you can bring any unlocked phone, I love my 6s and highly recommend it. I got rid of my slr because my 6s takes such awesome pictures. Outside of that, since I work mostly on social media for my sales pitches, managing our team, etc…my 6s is simply perfect. I have my email, slack, intercomio, pretty much everything that I use for business is on my phone. While I do spend most of my 9-5’s working from whatever Airbnb I am at, I do go out to lunch, take walks, and go to museums (gotta have some fun while you DN)…my iPhone is perfect. I can do almost everything I do on my laptop from my 6s. 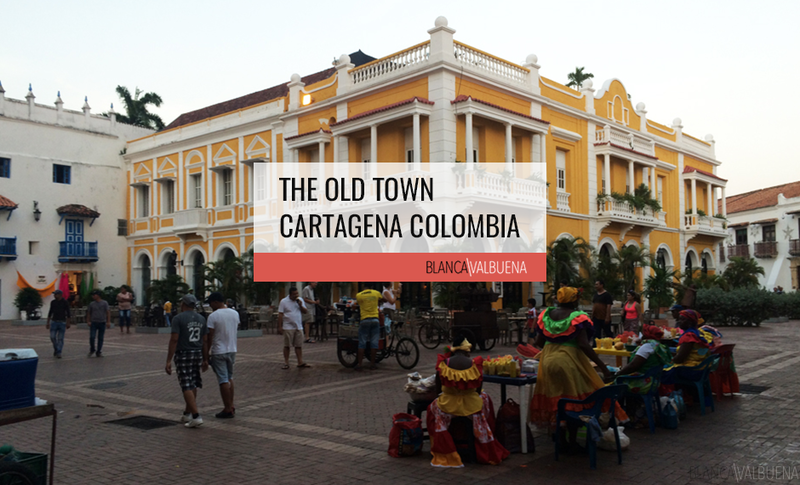 Wherever I go, I just pick up a SIM card and voila – I have a phone for that country. Since my calls are forwarded to google voice – as long as I can access my email, I can get all my messages. Oh…I sold my SLR when I got my iPhone, it takes great pictures. IPad: Same as the 6s – but I need this in order to have Duet Display work. Also, I love to read – so I have to have my books with me at all time (and Plants vs Zombies). And if you’re ever in a place that has cats, download Game for Cats – endless entertaiment. Battery Packs: Charge these up so you can recharge your phone/tablet whenever you need. Multiport USB charger: Antonio and I have way too many gadgets. This little tool saves us from so much wasted time. We charge our wireless mice, phones, tablets, and tons more items here. Wifi Extender: Most Airbnbs or older apartments have the crappiest internet. If it’s a stone building you are extra screwed. Wifi signals are not going thru those walls. We travel with a really light wifi repeater and it helps so much. Now the one I linked to, the HooToo Wireless Travel Router, AMAZING. So not only does it extend your wifi, you can stream stuff off of it, backup your data, and it’s a battery charger. You can literally charge your mobile phone or iPad with it. LOVE this little guy. It’s about the size of a fat iphone. Get it now. Great tips! Google Voice is a lifesaver! Cheers and keep living the dream! Right? Google voice is awesome. Don’t know what I would do without it. Ah Yes!! I’ve heard the Sapphire credit card is really good too! 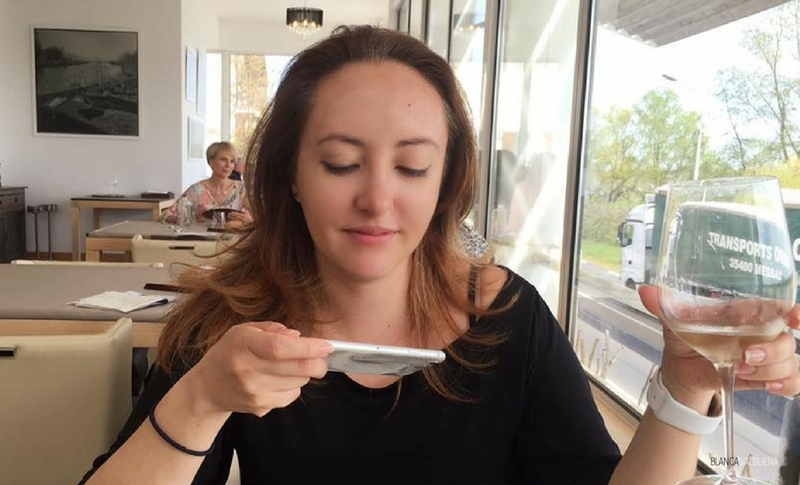 How did you first started to become a digital nomad though?! 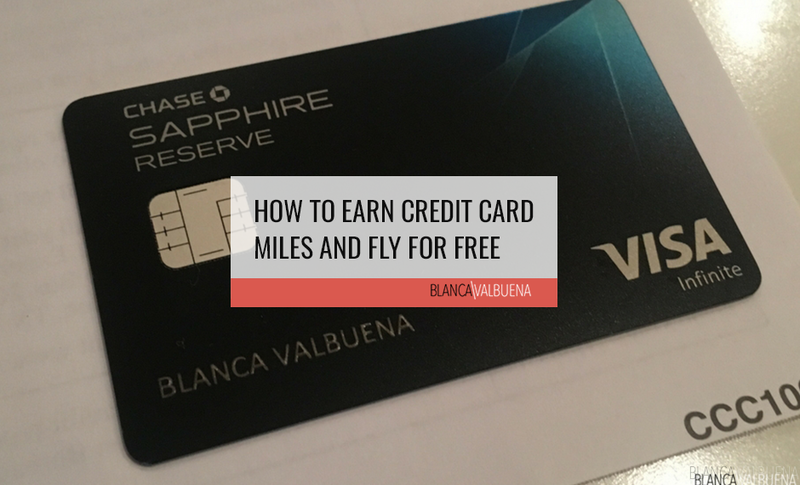 I’m so happy with the Sapphire card and all the airline miles. I started off slowly…began doing 7 days, then 14 days, then a month, then three months…and suddenly I spent almost a whole year away from home. 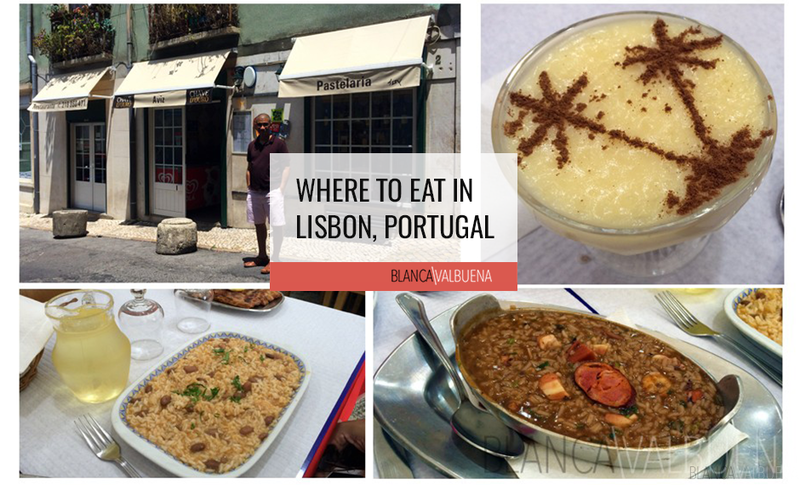 It really happened gradually…and I loved it, but I recently moved to LIsbon to take a break. All that travel makes you a bit tired sometimes. Congratulations for being featured in Travel & Leisure! That is quite an honor for sure. 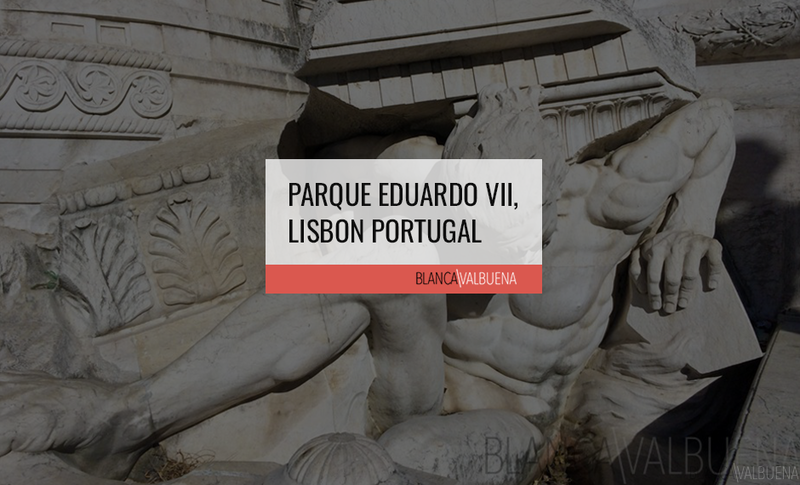 Keep blogging my friend! I do miss it…sometimes, particularly when taking pictures of animals and night shots, but overall…my pics come out wonderful. This is a great list of apps and tools. I’ve heard of some of them and use others but I will definitely have a look at the others to see if they would work for me. You are so right. It is all about finding the right tools for you. I went through a lot of tools before I could find the ones I truly loved and that really helped me in my nomadic lifestyle. What great tips! In today’s day and age its important to try to keep up with the technological times. Absolutely…and the best part is that technology becomes more and more available to us all…making it easier for all of us to achieve our dreams. 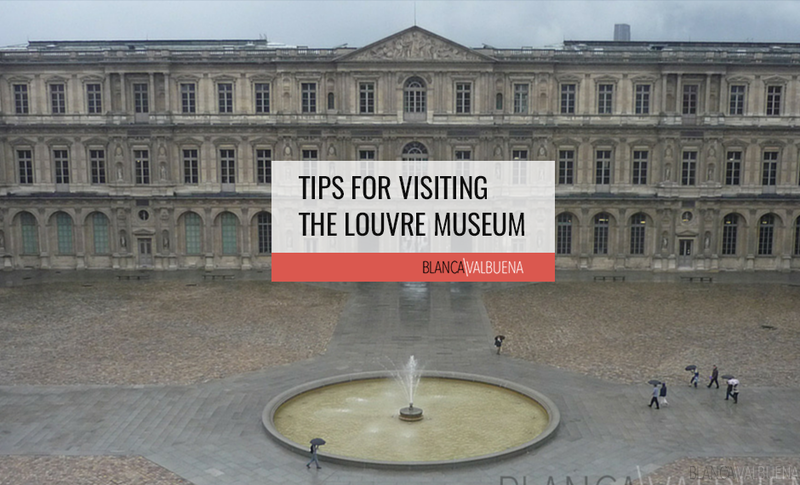 These are all great tips! This is super helpful for me as we’re getting ready for a transatlantic move and I’m looking at how to keep momentum on my blog going! Thank you! OMG! Where to? 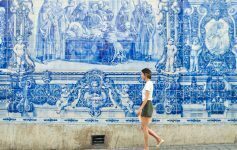 I just changed my life from a digital nomad to an expat. If you have any questions on that type of relocation, please do not hesitate to ask. YAY! Glad you liked them. Are there any others you would recommend? I have to admit, I don’t love Paypal…but until someone comes out with a worthy competitor – I guess I am stuck too. But slack is just divine. These are great business tips! We are just about to launch an site for my oldest daughter’s business. She is only 10 and so excited to have a website before an upcoming business expo next month. I’ll definitely use some of these apps! This is SUPER helpful, and totally applicable to me, so thanks for putting this together! Yay! You do tons of travel too right? Are there any tools that I didn’t mention that you love? I haven’t heard of a lot of these programs. They sound really helpful and social draft sounds awesome! So glad you’re familiar with them. I could not have done all my digital nomading without these tools.